Google tries to set the new Pixel 3 and 3 XL apart from other phones by using artificial intelligence to help users take better photos, make appointments and screen calls. 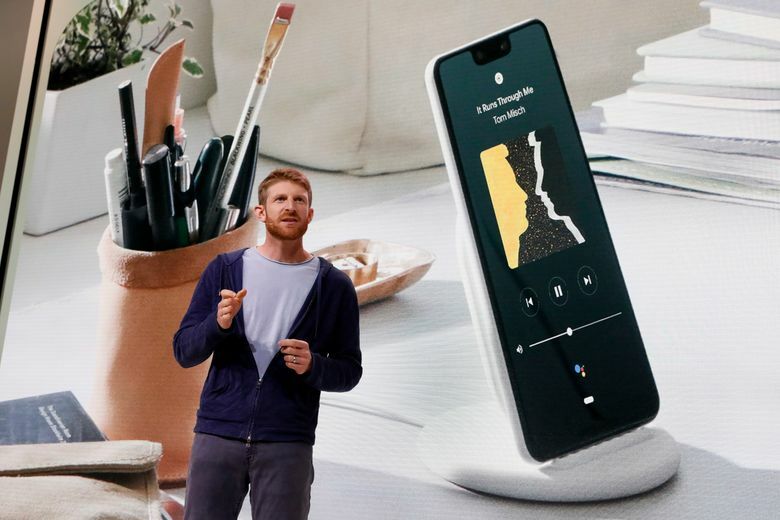 Google also rolled out Home Hub, which couples a small display screen with an internet-connected speaker. 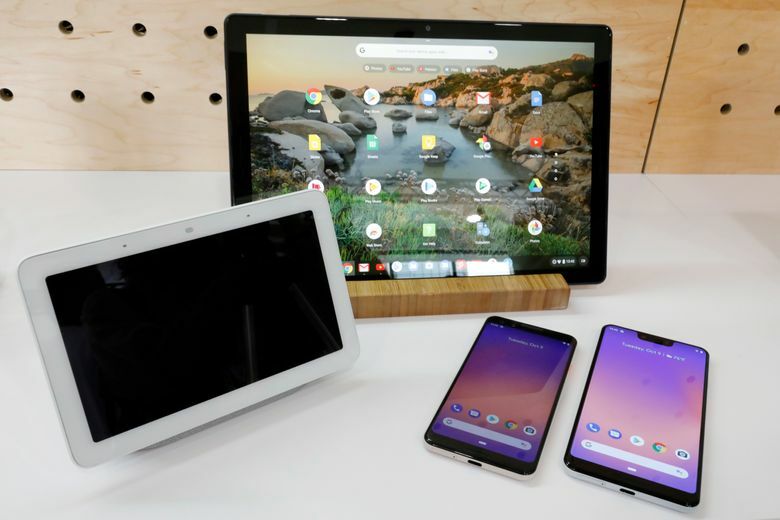 NEW YORK (AP) — Google’s new Pixel phones mirror an industry trend toward lusher, bigger screens and add twists on the camera for better pictures. 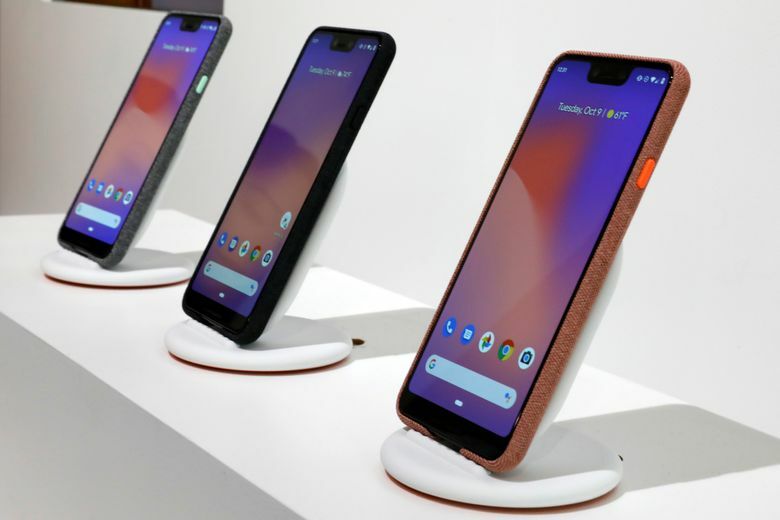 The third generation of Pixel phones unveiled Tuesday at an event in New York features screens that span from one edge to another. It’s the first time Google has embraced the format, which Samsung has had for a few years and Apple adopted last year. But Google is undercutting Apple on price. The Pixel 3 will be available Oct. 18 starting at $799 — $200 below the least expensive iPhone XS. A larger version, the Pixel 3 XL, costs $100 more. Google is also hiring photographer Annie Leibovitz to take pictures with the new Pixel in an effort to persuade consumers that its camera is superior. The camera, for instance, promises better low-light and close-up shots by using artificial-intelligence software to combine multiple shots taken in succession. It will also warn you if someone blinked or if the shot is otherwise poor. The camera automatically takes about three seconds of shots, at lower resolution, and will recommend an alternative. The Pixel joins LG’s V40 in sporting a second front lens to fit more people into selfies. But it lacks a zoom lens on either side, something available on some iPhones and Samsung phones. Instead, Google uses software to mimic that effect. Beyond the camera, Google is using artificial intelligence to help screen calls. Just tap on a button for Google’s voice assistant to ask the caller about the purpose of the call. You see a transcript of the response on the screen. You can choose to pick up or ignore the call. Callers are warned that they are talking to a robot and that a transcript would be made. 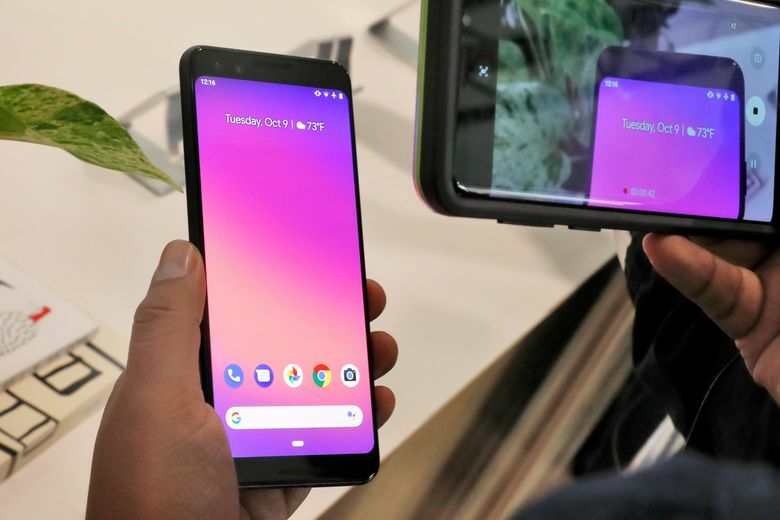 Although the Pixels have barely made a dent in the market since their debut two years ago, Google uses them to highlight what it considers to be the best features of its Android operating system. A previously announced feature in which software will call businesses to make appointments and restaurant reservations for you will debut on the Pixel first, for instance — initially in New York, Atlanta, Phoenix, Arizona, and the San Francisco Bay Area. As usual, the Pixel phones focus heavily on Google’s search engine, maps, digital assistant and YouTube video service. Google has sold an estimated 7 million Pixels over the past two years, almost imperceptible next to the 3.6 billion phones shipped during that time, according to IDC. Apple alone sold 388 million iPhones during the same period. Tuesday’s announcements come a day after Google disclosed a flaw that could have exposed personal information of up to 500,000 users of its Plus social network. 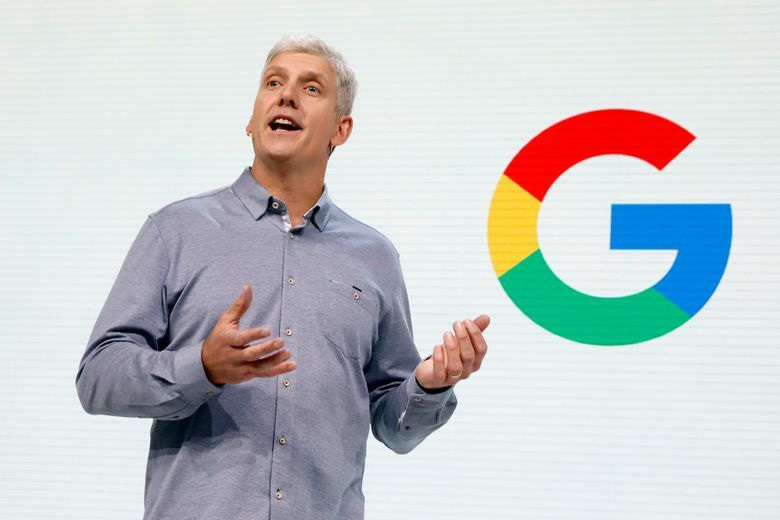 Google declined to address that further Tuesday, though executives emphasized privacy and security throughout the event in New York. For instance, the camera’s features for better shots will take advantage of software on the device itself, so that nothing gets sent to Google’s servers — unless you enable a backup feature with Google Photos. The Pixel 3 will have a new chip, called Titan, to store keys to the most sensitive information, including those needed to unlock the phone and descramble stored data. Many other phones already have similar hardware for security. 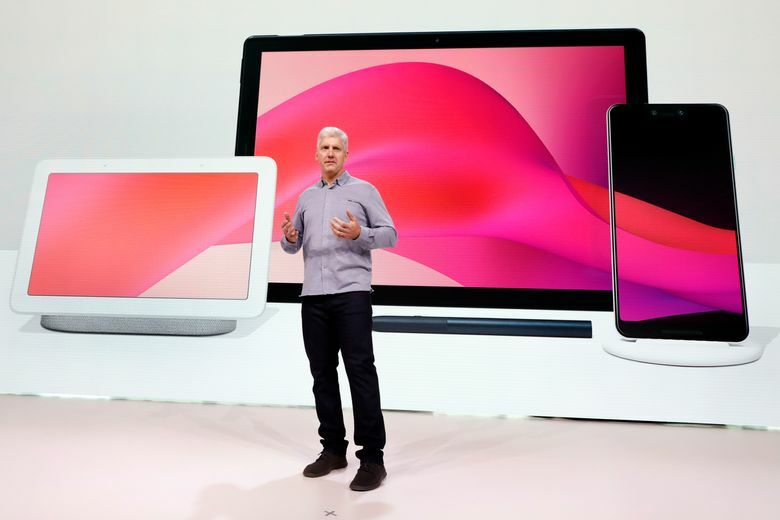 Google also rolled out Home Hub, which couples a small display screen with an internet-connected speaker. That’s similar to Amazon’s Echo Show and a new Facebook device called Portal. 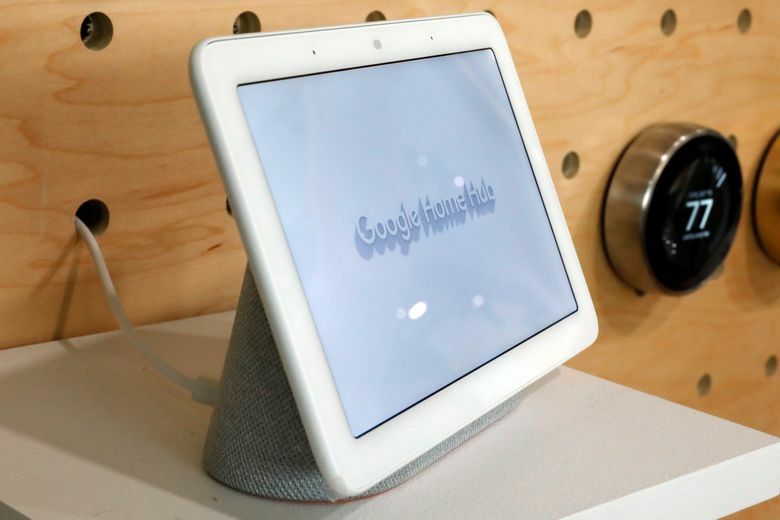 In another apparent nod to privacy concerns, Google didn’t put a camera on its Home Hub like Amazon and Facebook did with their respective devices to enable video calls. Again, Google is attacking its rivals on price. The Home Hub will sell for $149 when it comes to stores Oct. 22. The new version Echo Show starts at $229, while the least expensive Facebook Portal sells for $199. 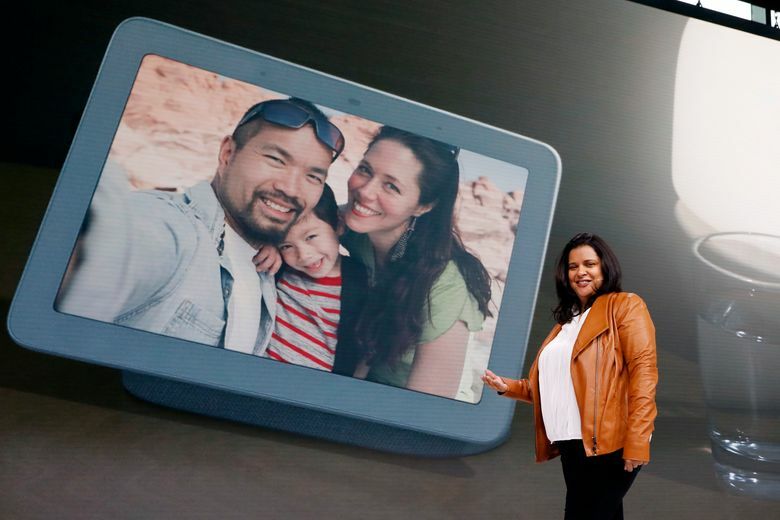 There’s also an upcoming tablet featuring Google’s home-grown Chrome OS system. 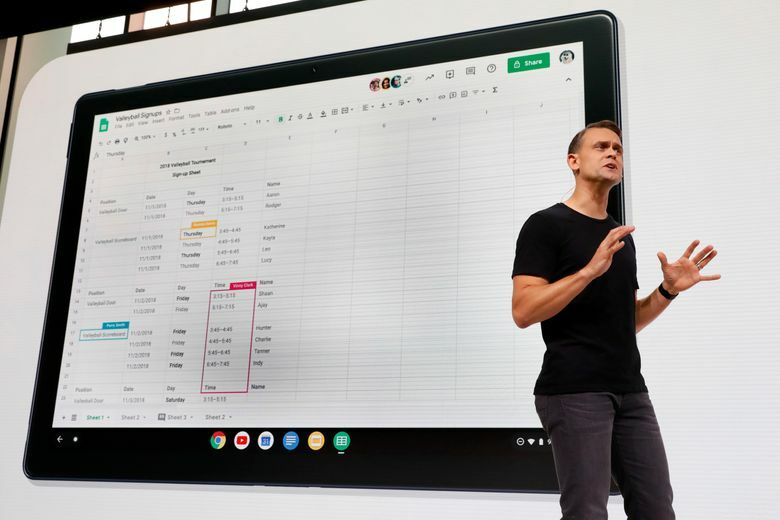 It will run Android apps, but offer functionality that’s closer to a desktop. 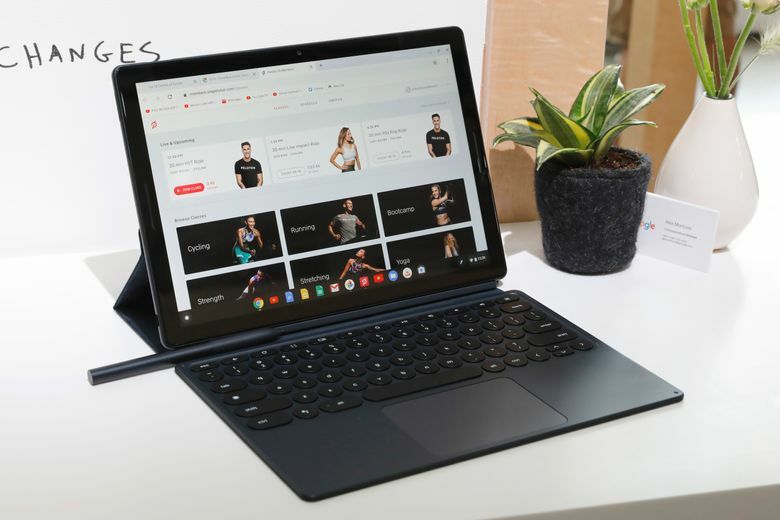 The Pixel Slate starts at $599; a keyboard costs $199 more and a stylus another $99.